But in their native England, the members of Hot Chip are no excitedly-whispered indie secret – they’re legitimate pop stars. The Warning made the mainstream U.K. Top 40, and the NME dubbed “Over And Over” the single of the year. The success of the album has made the band a draw on the international festival circuit – they’ve appeared at Coachella, Glastonbury, the Reading and Leeds Festival, Australia’s massive Big Day Out, the Sonar electronica festival in Barcelona, and many others. “Over And Over” serves as the theme music for the BBC’s influential Culture Show. Few albums – mainstream, indie, or otherwise – are as hotly-anticipated as Hot Chip’s upcoming Made In The Dark. Further exciting developments: the London quintet has apparently been hunting a more eclectic sound than any they’ve previously attempted to capture. In a recent interview, singer Alexis Taylor promised ballads, full-on dance tracks, and even heavy rock elements. Judging by “Ready For The Floor”, the first song released from the still-under-wraps set, they’ve delivered. Taylor’s evocative purr is still very much in place, but the beat is bigger, the chorus more infectious, and the synths quirkier than they were on The Warning. 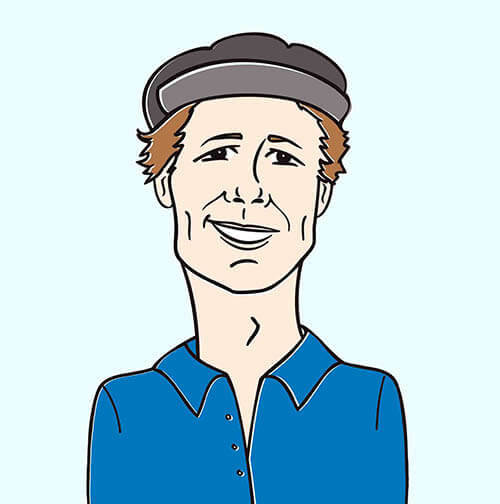 Here’s a worthy successor to “Over And Over”, an exciting beginning to 2008, and a track sure to be on the playlist at the more adventurous dance clubs this spring. Experienced director Nima Nourizadeh (Lily Allen, Architecture In Helsinki, Jamie T) has worked with Hot Chip before – his art-damaged, green-screened clip for “Over And Over” was one of the more compelling abstract videos of ’06. His highly entertaining clip for “Ready For The Floor” tops everything he’s done so far. Picking up on a lyrical quote from the Batmanmovie (“you’re my number one guy!”), Nourizadeh casts Alexis Taylor as The Joker. Bewigged and wildly made-up, the frontman torments his bandmates in a cylindrical contraption that looks like a cross between a live-action video game the set of an old Split Enz video. It’s a clever reference, and it’s well-executed by the members of Hot Chip. But what really makes the “Ready For The Floor” video a must-watch is Nourizadeh’s playful use of color. The dancers in the clip are dressed half-black and half-yellow; shot against a dark background, it looks like choreography by strange, fractional humans. Later, a dancer in a full black body-stocking gyrates against brightly-colored panels – and becomes a cardboard cut-out in motion. Gold paint splashes through a pitch-dark background, and reveals human figures that, dressed in black, were previously invisible. A bandmember pushes a champagne-glass pyramid on a wheeled cart across a treacherous floor – and the green liquid inside shakes dangerously. All is precarious, but playful; bright and childlike, but malign; familiar, but disquieting; artistic, destabilizing, hypnotic, fun. The HIP staff and I are very stoked to be working with Justin Nichols at Astralwerks to bring you such an awe inspiring talent such as Hot Chip. Astralwerks has brought us some of our favorite and most successful campaigns in the past and it’s always a pleasure to work with them. Hot Chip will be making two brief stops in the US in early February in New York Cityand Los Angeles, so if you’re in those areas, we strongly suggest you make it out to see their live show! We are fully stocked with copies of Made In The Dark, so please don’t hesitate to get in touch if you would like to set up on-air giveaways. If you need more info, call Andy Gesner at 732-613-1779 or e-mail us at HIPVideo@aol.com. 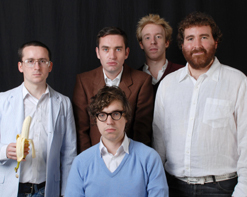 You can also visit www.Astralwerks.com or www.HotChip.co.uk to find out more about Hot Chip.